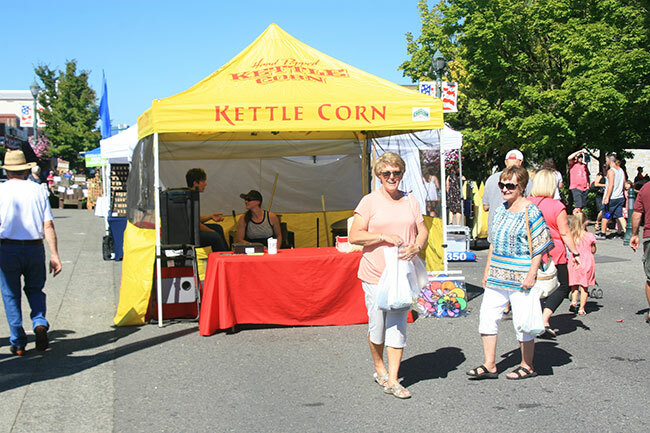 Rotary International was founded in 1905. In 1906 the club became the first service club in the US with its installation of a public toilet outside City Hall in Chicago. 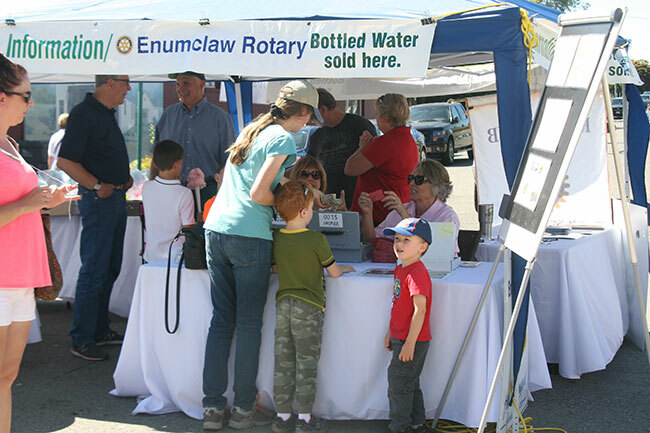 Since then Rotary has grown to over 32,000 clubs in 168 countries around the world. Its participation with efforts to eradicate polio, clear mine fields in war torn countries and bring clean water to underprivileged people in remote locations is well documented. 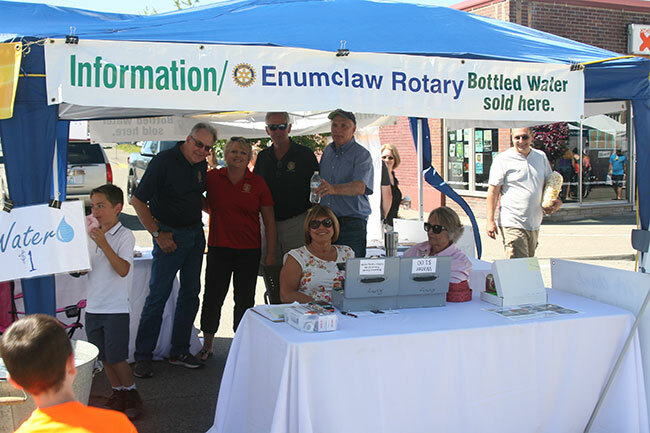 Less well documented but impactful all the same, the Enumclaw Chapter of Rotary International works tirelessly throughout the year to benefit the citizens in Enumclaw and on the Plateau. Chartered on April 5, 1969, this chapter works with youth, helps the community, and plays an active part in International and World Community Service. The scholarship program for area High School Seniors is particularly important and these selected students are each named “Student of the Month” and are featured guest speakers. 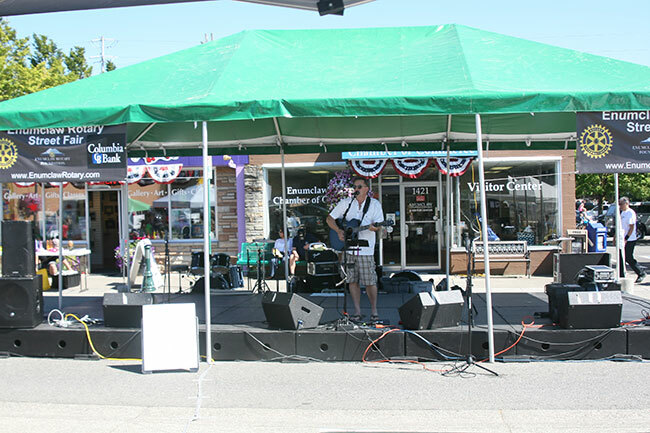 The Rotary Club of Enumclaw's Fund Raisers are Father/Daughter Dance, Mother/Son Dance and the Rotary Street Fair. 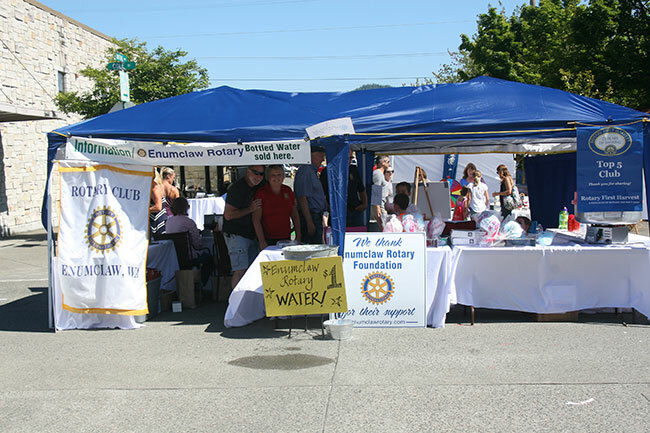 By participating you also are contributing to Rotary's projects locally and internationally. 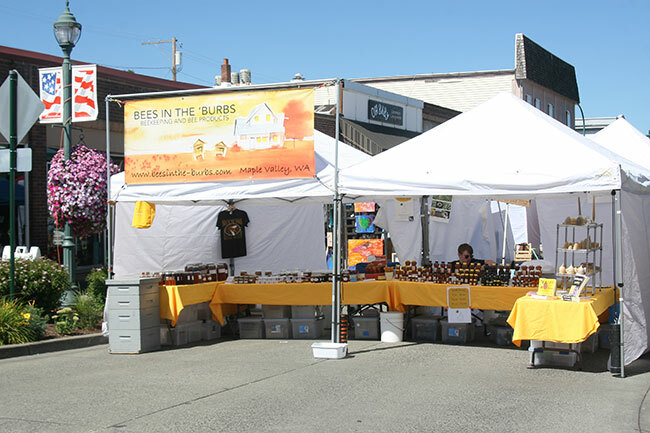 Rotary's Street Fair is a project that reaches out into the community, into the Puget Sound Region, benefits all participants, invites visitors and breathes new life into the economic and cultural development of our town.